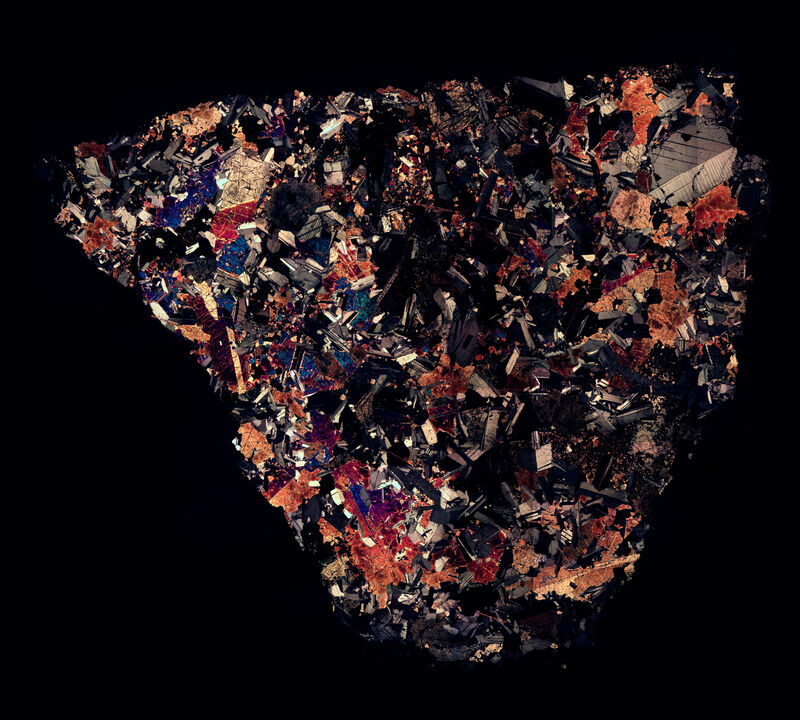 Thin section specimen of NWA 5558. It is a fascinating eucrite with many large inclusions in the matrix. Note: Provisional name.